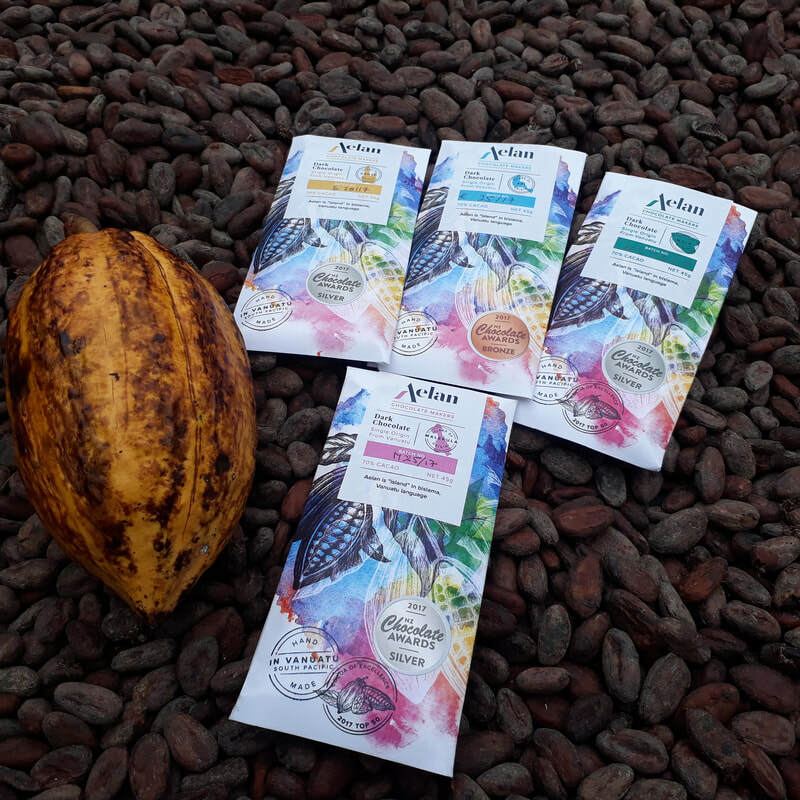 A factory tour is also available from Monday to Saturday morning where you can learn how we produce our AELAN chocolate and also test the different chocolate. You can book at admin@activ.com.vu or call our office at 22554. Our island origin dark chocolate from Epi, Santo, Malo and Malekula were awarded at the NZ chocolate awards in 2017 with a silver medals from the origins of Santo, Malo and Malekula and a bronze medal for the origin of Epi. 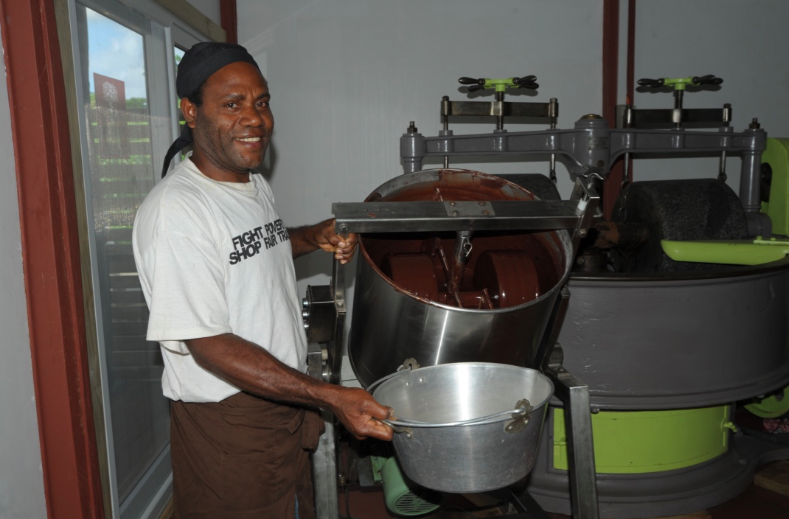 Our artisan chocolate are made with only two ingredients the cocoa beans and the sugar. The island origin of Epi, Malo, Santo and Malekula come in 100g, 65g and 45g bars and napolitains of 5 g.
Contact us if you need more information on our products or place some order.